Dr. Lapalorcia welcomes us to his plastic surgery clinic in Italy. Name: Luigi Maria Lapalorcia M.D. That's interesting: Dr. Lapalorcia received a Scientific award for being a Section editor for oculoplastic surgery for Aesthetic Plastic Surgery. Can you tell us more about your clinic? My practice is a combination of plastic, aesthetic and reconstructive surgery. My patients vary a lot, in terms of demographics. I enjoy working with kids but I adapt well to women in their 40s and 50s seeking beauty treatments and aesthetic medicine as well as dealing with cancer patients. Diversity of interaction is part of the beauty of this work. How is your clinic organized? How does it operate? My clinic is privately owned and several professionals admit and operate on their own patients. The clinic does all the paperwork and billing to the patient according to the Italian law. There is a 24/7 on duty doctor in the clinic that takes care of the surgical ward for the patients that the attendings admit for surgery. Attendings are always on call for the patients they admit. Professionals of different medical specialties work there and there is a friendly and relaxed atmosphere. I also work in a public hospital where socialized medicine concepts are applied and where reconstructive procedures and consultations are offered with a minimal co-payment from the patient. Are you using lasers in your clinic? My practice is small and young. I haven't felt the need to incorporate laser technology in it yet. You're performing Intralipotherapy (mesotherapy) using phosphatidylcholine. Can you tell us how you perform these treatments and how they compare to liposuction or other treatments? I actually do perform these kinds of treatments but compared to surgical results I consider them inferior. I always inform the patient that the result will be evident but they’ll end up likely scheduling a liposuction. My advice is, if indication and the possibility to undergo surgery exists, I encourage the surgery without pushing it. These treatments are not FDA approved but are still available among my category of professionals and from aesthetic doctors. You're performing 'biostimulation' treatments that involve subcutaneous layers of hyaluronic acid fluid. Can you tell us more about this? What do you use these treatments for since you note that they don't replace fillers? I do perform bistimulation with non crossed link hyaluronic acid (HA). The treatment is effective if a cycle of recurrent infiltrations are administrated. Hydrophilic properties of HA draw water in the deep layers of the dermis and deeply hydrate the skin. Use of a facial anti age skin cream that contains HA and antioxidants is also normally suggested. How are cosmetic lasers and IPLs marketed and sold in Italy? How common are they? Who are the leading companies? Collimated and non collimated lights are widespread among core specialists (plastic surgeons and dermatologists) and other operators in the field such as aesthetic doctors or aestheticians. They are distributed on the National territory by the sales department of the manufacturer and promoted thru research studies at scientific meetings. Leading company is DEKA. Laser is an overall large investment that requires updates and maintenance so patient volume is essential. In order to pursue volume patient in non metropolitan areas a lot of my colleagues rent or lease the machines or move the lasers from one office to another. Being a surgeon, I consider this work extremely time consuming and being in solo practice makes running a laser center very difficult. What do you think that you do better than most other physicians that help you to succeed? Patient interaction, promptness of service delivery,understanding of patient needs and wishes along with a great hospitality in my region. Build a know how before you need it. Have a social network and apparatus to support your work. 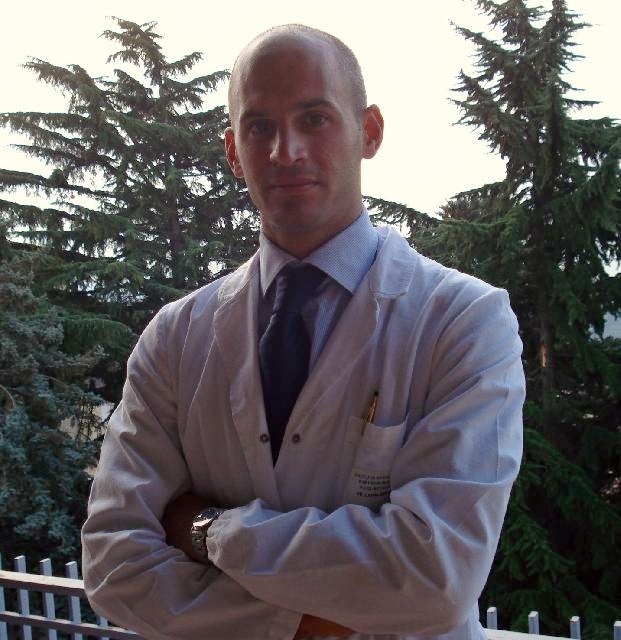 About: Born in New York in 1978, Dr. Lapalorcia was raised and educated in Italy and in the United States, where part of his family remained. His father was a general surgeon (Pasquale Maria Lapalorcia, MD, FACS) and his mother is a Professor in Internal Medicine and Infectious Disease at the University of Perugia-School of Medicine, Italy and they have been both able to transume passion for science and medicine. He obtained his MD degree from the University of Perugia School of Medicine, Italy in 2003. He completed his Residency in Plastic and Reconstructive surgery with certification of the Italian Board of plastic surgery from November 2003 to November 2008.